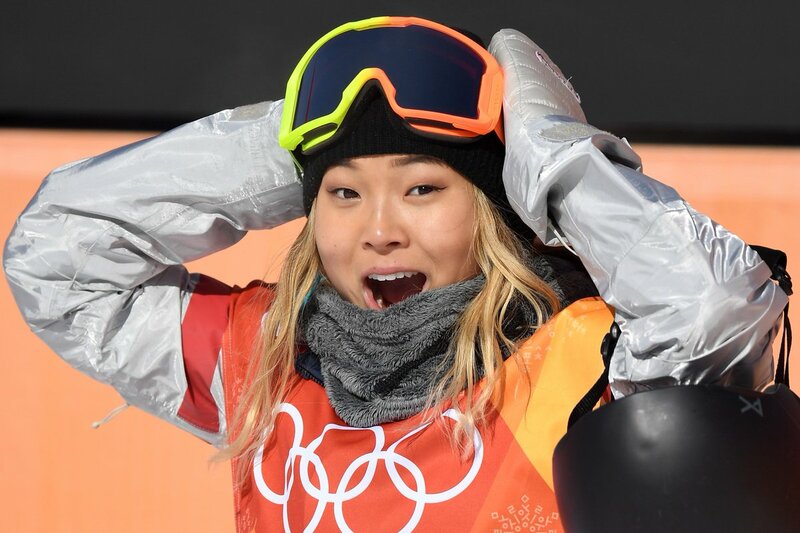 Kim, 17, who was too young to compete in the 2014 Winter Olympics, made up for lost time, winning the gold medal on the strength of two stunning runs in the women's halfpipe snowboard on Feb. 13 (Feb. 12 ET). She posted a stunning score of 93.75 on her first ruin — and then topped it with a nearly perfect 98.25 on her third run. Kim landed two rare 1080s — three full rotations — in adding the gold medal to her multiple X Games gold medals, her multiple World Snowboard Tour titles and her dual golds in halfpipe and slopestyle at the 2016 Winter Youth Olympics. For Kim, where she did it was extra special — her parents are South Korean immigrants. "Being able to do it here, in their home country, is amazing," she said.